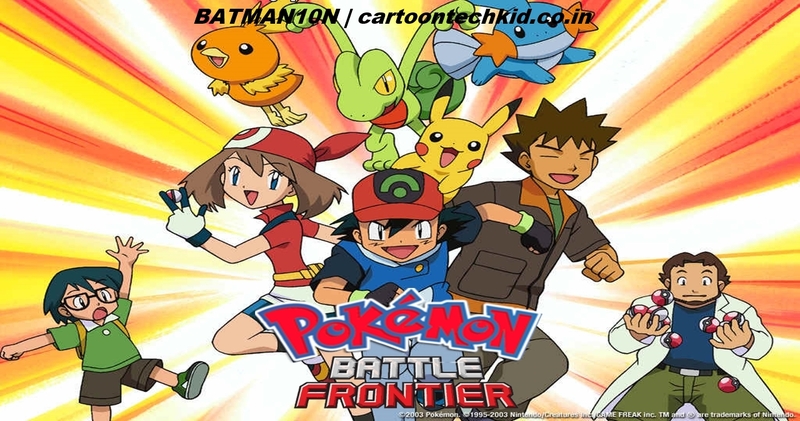 Pokémon: Battle Frontier is the ninth season of Pokémon, a Japanese anime television series known in Japan as Pocket Monsters: Advanced Generation.The territory might be familiar, but even Ash and Brock can find more than a few surprises in their home region of Kanto, like a Pokémon Ranger hot on the cases of two Legendary Pokémon! May’s back on the Contest path, blazing a trail to the Kanto Grand Festival, while Ash seeks out the hidden facilities of the Battle Frontier. If finding them wasn’t hard enough, he’s still got battles with the Frontier Brains to deal with—much tougher than any Gym Leader he’s ever faced. Episode 11-From Cradle To Save! Episode 15- Harley Rides Again! Episode 18-Cutting The Ties That Bind! Episode 20-King And Queen For A Day! Episode 31-The Ole Berate And Switch! Episode 37-Channeling The Battle Zone! Bro "Ben 10 " Ke All Season Aur Avengers Assemble Season 1,2,3 & 4 WEB-DL HD 720p Mein Kab Tak Upload Karo Ge Plezzz Tell Me ? Please upload pokamon season 9or10 please.. .. .
Plz plz plz upload all episode. every time disney xd does the same think, first with the deep, then with big hero 6 series and then currently with pokemon.